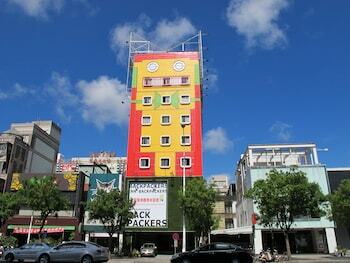 With a stay at Backpackers Inn, Kaohsiung, you'll be centrally located in Kaohsiung, within a 15-minute drive of Kaohsiung Museum of Fine Arts and Shinkuchan. Featured amenities include a 24-hour front desk, luggage storage, and laundry facilities. With a stay at Horizons Found in Hengchun, you'll be minutes from Hengchun Old Town North Gate and Hengchun Old Town West Gate. When you stay at Cliff House in Fengbin, you'll be close to Hualien Fengbin Sky Trail. Free self parking is available onsite.